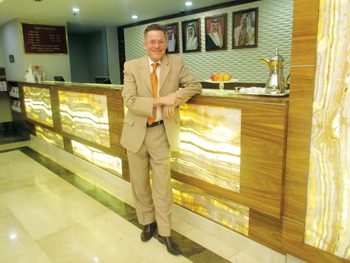 Despite being a challenging year, Ramada Bahrain was finally able to meet its targets in 2015, says general manager Matthias Hellweg. "Last year was not easy and some months in between could have been better, but since November and December were exceptionally good, we finally met our targets," say Hellweg. The coming years will be even more difficult with additional hotels and increasing room inventory. But Ramada Bahrain is well established to tide over all such difficulties, he says. However, expenses, especially this year, have to be monitored on a daily basis in order to stay profitable and to please the increasing demands of the hotel’s guests, he says. The RevPar has been quite stable throughout last year and Ramada needs to bring it up further this year, as increased operating costs should not jeopardise profit margins, he says. Ramada Bahrain has not been affected as other hotels due to the falling oil prices, because its business model does not rely predominantly on guests from the GCC but on guests from Europe, the Americas and India, he explains. 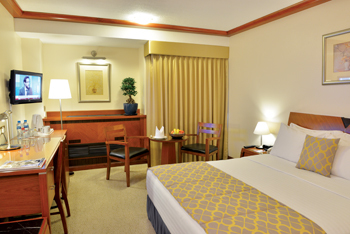 Hellweg says Ramada Bahrain caters mainly for corporate and business travellers and only to a lower extend to tourists. "But of course we are open to all travellers and families as well," he says adding that Ramada Bahrain had undergone a major facelift last year; all rooms and public areas have been refurbished. This year the hotel will continue to upgrade its technical facilities like the electric distribution and by December it will see a renovation of the pool area. "We are participating in all activities in the region to promote the hotel and Bahrain and we are attending ATM, ITB and a conference in Sitges/Spain as well." In order to make the travel and tourism sector more vibrant Bahrain should establish a beach culture, he says. On the hotel’s Mice facilities, he says "Our hotel caters well for small to mid-sized groups and our conference rooms are prepared for 2-100 pax."